Jesus Saravia, 68, lept to his death after attacking a coworker at a Town of Brookhaven Landfill, cops say. SCPD report that Jesus Saravia of Central Islip, 68, stabbed his coworker and then committed suicide. 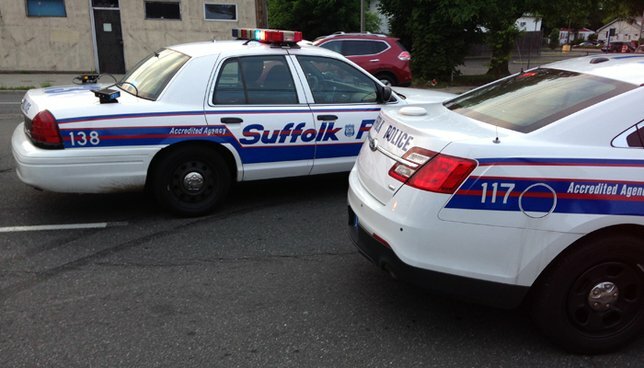 Yaphank, NY - Sept. 27, 2018 - Suffolk County Police Homicide Squad detectives are investigating an incident during which a man stabbed his coworker and then committed suicide in Yaphank on Wednesday, September 26. Jesus Saravia stabbed Milton Diaz at the Town of Brookhaven Landfill, located at 350 Horseblock Road, and then jumped off a catwalk inside the facility at approximately 9:30 a.m. Both men were transported to Long Island Community Hospital in East Patchogue. Diaz, 22, of Brentwood, was listed in stable condition and Saravia, 68, of Central Islip, was pronounced dead at the hospital. Man Wanted for Stealing Purse from Parked Car in Seaford Caught on Film Using Victim's Credit Card! Subject: LongIsland.com - Your Name sent you Article details of "Authorities: Central Islip Man Stabs Coworker, Commits Suicide"